Are some nuts more healthy? Question: Are some nuts more nutritious than others? Should I be eating more of some and less of others? Answer: Most research is based on total intake of nuts, not on consumption of particular types of nuts, so it isn’t clear whether eating more macadamia nuts, for example, is preferable to eating more almonds. The PREDIMED study (Guasch-Ferré 2013) found that eating a 1-ounce portion of a combination of walnuts, almonds and hazelnuts three or more times per week was associated with significantly reduced risk of death from cardiovascular disease and cancer, compared with a control diet. Other research has shown that people who eat nuts have a lower risk of cardiovascular disease, type 2 diabetes, high blood pressure, gallstones and some cancers (Ros 2010). Nuts have also been shown to reduce cholesterol levels and inflammation. All nuts are packed with nutrients. They are rich in protein; healthful unsaturated fatty acids; fiber; minerals like potassium; B vitamins, including folate; vitamin E; and many antioxidant and anti-inflammatory phytochemicals (Ros 2010). They do vary somewhat in nutrient content. Peanuts are especially high in protein. 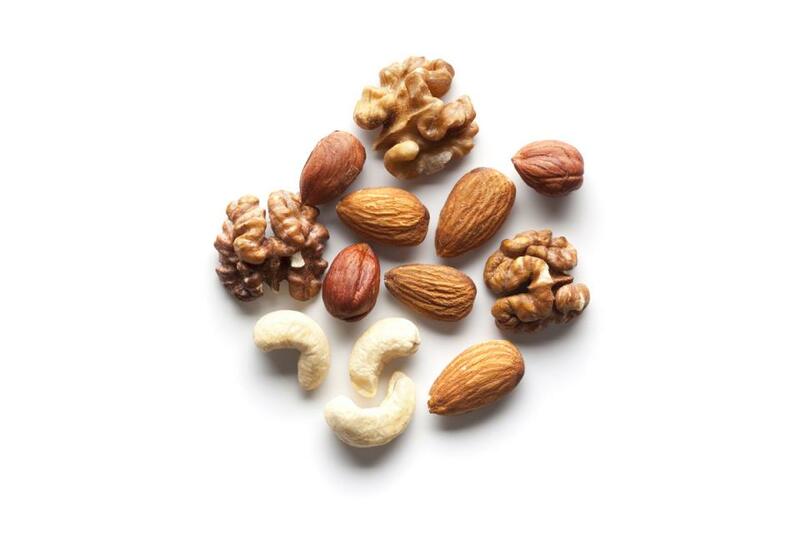 Different nuts have different proportions of polyunsaturated to monounsaturated fatty acids. Pine nuts and walnuts are higher in polyunsaturated fatty acids, while cashews, pistachios, almonds and hazelnuts have a higher proportion of monounsaturated fatty acids. The only nuts really rich in alpha-linolenic acid (ALA), an omega-3 fatty acid, are walnuts (Feldman 2002), although pecans do contain very small amounts of ALA. Almonds are higher than other nuts in vitamin E and calcium. The form of the nut affects nutrient content as well. Nuts with intact skins have higher levels of antioxidants than those without skins, like blanched almonds or hazelnuts (Ros 2010). There really is no downside to any nut. Eat a variety of the nuts you like, including walnuts for omega-3 fatty acids. Try toasted hazelnuts and grated dark chocolate with your morning yogurt; add pistachios and dried apricots to your salad at lunch; and finely chop a handful of parsley, a clove of garlic and some toasted walnuts to sprinkle on grilled fish for dinner. Feldman, E.B. 2010. The scientific evidence for a beneficial health relationship between walnuts and coronary heart disease. The Journal of Nutrition, 1321062S-1101S. Guasch-Ferré, M., et al. 2013. Frequency of nut consumption and mortality risk in the PREDIMED nutrition intervention trial. BMC Medicine, 11, 164. Ros, E. 2010. Health benefits of nut consumption. Nutrients, 2 652-82. © 2016 by IDEA Health & Fitness Inc. All rights reserved. Reproduction without permission is strictly prohibited. 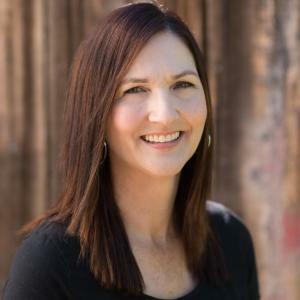 Sanna Delmonico, MS, RDN, CHE is a faculty member at The Culinary Institute of America at Greystone, in the Napa Valley, where she teaches food safety and nutrition.